Timothy Ward’s Words of Life (IVP) is a beautifully written, clear, calm, reasonable – a very English - treatment of the historical evangelical and classical Christian approach to Scripture. Besides being explicitly Reformed – he builds on Calvin, Turretin, Bavinck and Warfield - its orientation is also noteworthy for stressing the Bible’s own witness to itself, in particular to the closeness of God’s words and God’s action. He then proceeds to place this material in an explicitly theological, Trinitarian framework, and to apply it in the restatement of the traditional doctrinal attributes of scripture as necessary, sufficient and clear. Finally, the doctrinal formulation is brought to bear onto the life and witness of the Christian and the church; doctrine, and then application. Most important of all, perhaps, Timothy Ward puts all this in his own way, not simply mouthing traditional doctrine in traditional ways. And he comes to theological conclusions the proper way, from the scriptural data to scriptural doctrine. To cap it all, he has an eye both to history and to contemporary discussion. So this is a fresh, clear-headed and reliable treatment of an important topic. Ward was a student of Kevin Vanhoozer’s, and due regard is paid to speech acts. (Ward’s doctoral dissertation on this topic is already available (Word and Supplement: Speech Acts, Biblical Texts, and the Sufficiency of Scripture, (Oxford University Press, 2002)) But speech-acts are servants rather than masters, chiefly put in service to elucidate the one important fact that often God’s deeds are his words, so binding very closely together who God is, what God does, and what God says. Nor does the author claim any great novelty for this insight, as if no one in the church had ever got the point before. Nor does the use of speech-act theory get in the way of good, old-fashioned, doctrinal construction. More could be said here, but on this occasion I forbear. Instead I draw attention to what I think is its most noteworthy treatment – its consideration of inerrancy. 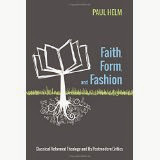 The book does not wobble on the topic, and Ward is explicit in his rebuttal of the well-rehearsed claim that the concept is a late addition to the Reformed understanding of Scripture, ‘an invention of a Western rationalistic Christianity since the Enlightenment’. Nor is inerrancy a piece of a priori reasoning from the doctrine of God, making it impossible that he could ever use an errant writing for his purposes. But Ward does keep inerrancy in its place, or, if you prefer, put it in its place. Inerrancy is not a talisman, a mantra, a shibboleth or a touchstone, an isolated phenomenon that has to be given singular prominence. Rather, as the author says, the inerrancy of Scripture is logically subordinate to and so a consequence of the Bible’s teaching about the authority of God’s words. This is how he puts it. The claim that the Bible is inerrant is a conclusion that is directly drawn from what Scripture says about God, and about itself in relation to God. Scripture says, as we have seen, that it is breathed out by God, as his own words. In addition, in Scripture God states with great clarity that his character is such that he cannot lie, and that he alone is utterly true and trustworthy. (Titus 1:2, Heb. 6.18) The conclusion that the Bible is inerrant is essentially derived from linking these two related truths closely together. In my judgment, this is well said. To have an erratum slip in a book that upholds biblical inerrancy is quite something. I read this book on April Fools’ Day, and thought at first that the inclusion of the slip was a piece of clever marketing. But no, the book is in systematic error – the index is everywhere two pages out. Happily, once spotted, soon corrected. 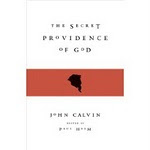 There is no shortage of biographies of John Calvin. But Herman Selderhuis’s John Calvin, a Pilgrim’s Life, (IVP Academic) is another blast of fresh air. It is not solemn or pietistic hagiography, nor is it a full-dress apologia for the life and theology of Calvin. ‘Calvin is approached as neither friend nor enemy; I just do not categorise him in that sense. I feel nothing for Calvin either way, but I am fascinated by him as a person’. Selderhuis is a notable Calvin scholar, but this is not a work of i-dotting and t-crossing from the Calvin academic guild. Rather it is scholarship with a light touch. Being witty and pointed about a serious subject may suggest satire, but Selderhuis has succeeded in being both skittish and penetrating about a serious man without undermining him, but instead helping the reader to get under Calvin’s skin, as he puts it. How has he achieved this? Partly through style. The writing style is sharp, witty, knowledgeable, terse, compact. The book never drifts. This is helped by the way in which the chapters themselves are divided into discrete sections each of no more than a couple of pages, which often jump from one topic to another, sometimes interrupting the flow of the narrative of the life as topics seem to have suggested themselves to the author. It has the jumpiness and unexpectedness of live conversation. Each of these sections has a separate short title, inviting the reader to read on - ‘Battle’, ‘Clean-Up’, ‘Miracle’, ‘Promised Land’, ‘Money’, ‘Frustration’. The sections make it possible easily to pick the book up and to put it down, but I did not find that I wanted to put it down very often. It has been brilliantly translated from the Dutch by Albert Grootjes. Following the death of his own father, Calvin’s pilgrimage was conducted with the help of certain father figures – Alciati, Farel, Bucer – and his life was spent doing what he definitely did not want to do, but was constrained to, and was amazingly gifted for, and (somewhat reluctantly) believed himself called by God to. As such, he had no ‘career plan’, no drive to be at the top of the greasy pole. He did have blind spots, however – in particular, he was unable to realise that not every one else was like himself. He was bad tempered, emotional, sometimes uncontrollable in his grief, yet also insensitive and childish. He was above all things strong willed, a workaholic who neglected his health and so shortened his life, paying scant regard to his own teaching on the place of prudence in providence. Calvin was certainly not the flint-faced Lenin that he is often portrayed as. Face to face, and in his correspondence, he was friendly, but in his other writings he tended to let rip. Ardent in his love of simplicity, directness and order , hating the complications of everything from horoscopes to ceremonies. The author peppers his judgments with pertinent quotes from all over the Calvin corpus, but chiefly from his letters. Where Selderhuis does tend to be apologetic is over Servetus, and also over Calvin’s place in the politics and rule of Geneva. Calvin and Geneva were bound together in seemingly endless friction from which Calvin was only released towards the end of his life, as French refugees became citizens and took control of the city. Even so, Geneva was no DDR. The politically correct of today cannot in all conscience grumble at the political correctness and zero tolerance that was present in Calvin’s Geneva. The author ends his book by saying that if he gets to heaven there are certainly things that he would like to talk to Calvin about. By then the reader will think the same. There’ll be quite a queue. So, two new books, and two fresh books. Not necessarily the same thing.